Designed like no other, the McLaren Technology Centre is state-of-the-art and designed to encourage innovation and inspire every individual who works there. The environment is home to over 50 years of racing heritage and 'top secret' Formula 1 technology that allow McLaren engineers and designers to make the most exhilarating supercars in the world. The no-compromise policy which features across all McLaren models, is also present across the inspiring design of its state-of-the-art facilities. Inside the MTC, there is a state-of-the-art wind tunnel, Formula 1 preparation race bays, world-leading racing simulators, and office space for more the 1,500 employees. McLaren operates with the philosophy of ‘everything for a reason', which is echoed across every design and engineering design made. Every aspect of each model has a reason, which are all combined to guarantee the ultimate car performance, that delivers the most exciting and exhilarating drive. For McLaren, reducing weight is key to its Formula 1 race car design, and has therefore been adopted as a fundamental design across all McLaren models - from the McLaren F1 and P1, to the 650S Spider and Coupé, every single gram is considered to ensure the maximum performance can be achieved at the minimum weight. Styling and visual language of every McLaren is equally as important as its performance as a race car, to guarantee the road presence a McLaren deserves. The McLaren environment for production encourages precision, attention to detail and inspiration to make sure every part of each model deserves to own the McLaren badge. McLaren technicians are experts in their field and take pride in every aspect of their work which is why every McLaren car is finished to such a high standard. The attention to detail of each manufacturing stage requires precise measuring and meticulous checking. High-performance processes mean that each process is accurate to within thousands of a millimetre, with geometric and surface validation technology measuring over 450 points on each car. The interior of every McLaren car is individually checked by hand to make sure it is truly worthy of the McLaren badge - whilst it is time consuming, this outlines the labour of love and pride that goes into each and every chassis that passes through the production centre. 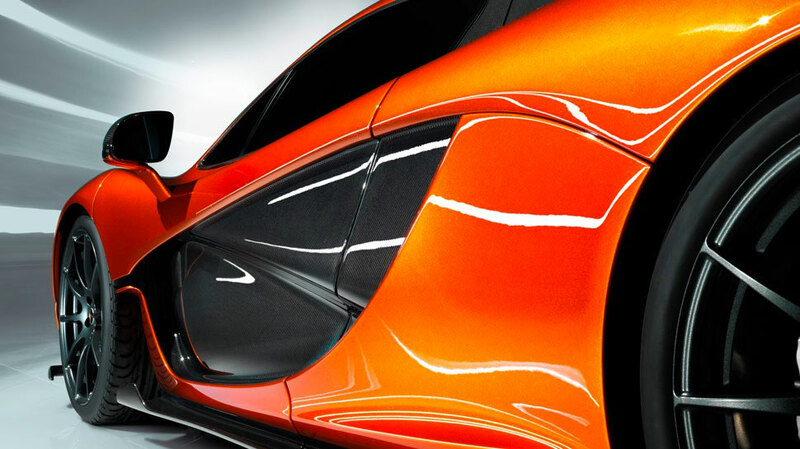 Every car that is created by McLaren starts with a stated aim. An objective that will define and shape the car that they are planning to design and build at their state of the art production facilities. The aim of the McLaren P1, for example, was to create the most advanced, most technologically exciting and accomplished supercar ever made.